There was a side arc where the starship Discovery and her crew were stranded in the vicious Mirror Universe, but that story only added to the darkened tone of the show. There was very little exploring. We can count on one hand the number of times the crew actually visited a planet or made first contact. The show oozes with ambiguity and gray areas. One example was a running sub plot in the first season dealt with the use of a new propulsion system called spore drive. It made for a cool and unique look of how the Discovery travelled through unimaginable distances. But to use the spore drive, the ship’s engines needed to use living hosts, which was harmful. First the crew used a living sentient lifeform called a tardigrade against its will, and later one of the show’s characters, Paul Stamets. This was disturbing but the show points out that this new technology helped the Discovery to win the war against the Klingons. This harsher tone was also reflected in the show’s characters. The controversial lead character, Michael Burnham, is not the starship’s captain, but a disgraced former first officer. In the pilot episode “The Vulcan Hello”, she is responsible for igniting the war between the Federation and the Klingons. Her actions also led to the death of her captain and was guilty of mutiny. The rest of the series features a redemptive story for her as she is recruited from prison to help with the war and the spore drive. Since the show follows her journey, the focus of Star Trek: Discovery is not about the captain. Many have decried having her as the lead given her actions, though others claim that some fans are uncomfortable with the show having a black female lead. Others point out that Burnham should not be shown in a heroic light given her mutinous actions started a war and add that she is too much of a Mary Sue. The ship’s captain in the first season was the gruff and no-nonsense Gabriel Lorca who seemed more interested in the war than exploring, unlike traditional Trek captains. He quickly became a somewhat controversial fan favorite until it was revealed late in the season that he was from the Mirror Universe and devolved into a one-dimensional villain. Currently, the temporary captain of the Discovery is Christopher Pike who is to help solve a season-long mystery of a galaxy wide phenomenon. This plot line is evidence that the show is moving away from the brutal war footing of the first season and is instead going back to the exploratory roots of the original show. Star Trek: Discovery has its flaws such as the way the characters behave, and the scripts are not well developed. However, it does have its merits and seems to be improving. So far, the first two episodes of season two “Brother” and “New Eden” have gone back to the traditional mold of featuring sci-fi mysteries and exploring new worlds. 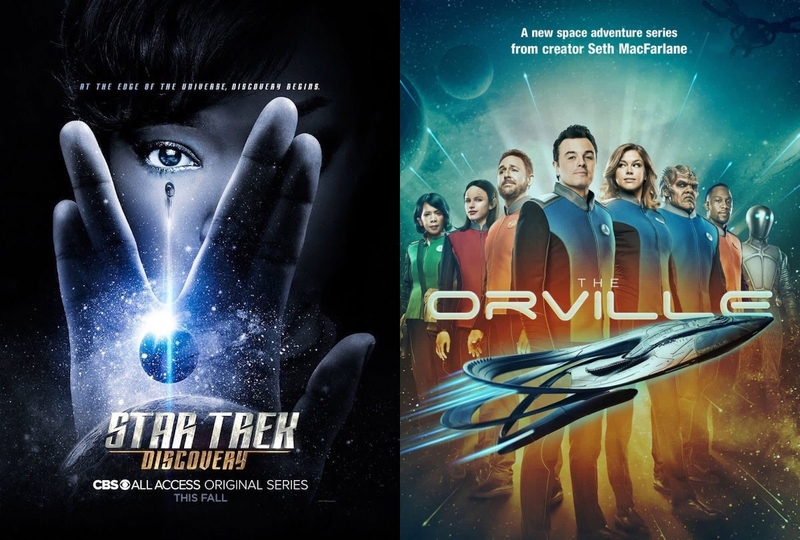 We must remember that many of the previous Trek shows did not hit it out of the park in their first seasons but improved later. Look at Star Trek: The Next Generation, which had a disastrously dull first season, but eventually found its footing and flourished. There still is time for Discovery to find its own groove. Will Discovery improve and become well regarded in the future? It’s too early to tell. Now as to comparing it to The Orville, that is another matter. The fact is that both programs are very different from one another, so determining which one is better depends on one’s own preference. As the cliché goes, it’s comparing apples to oranges. If you want and miss traditional Star Trek then The Orville is your show, just ignore the sophomoric humor it indulges in at times. 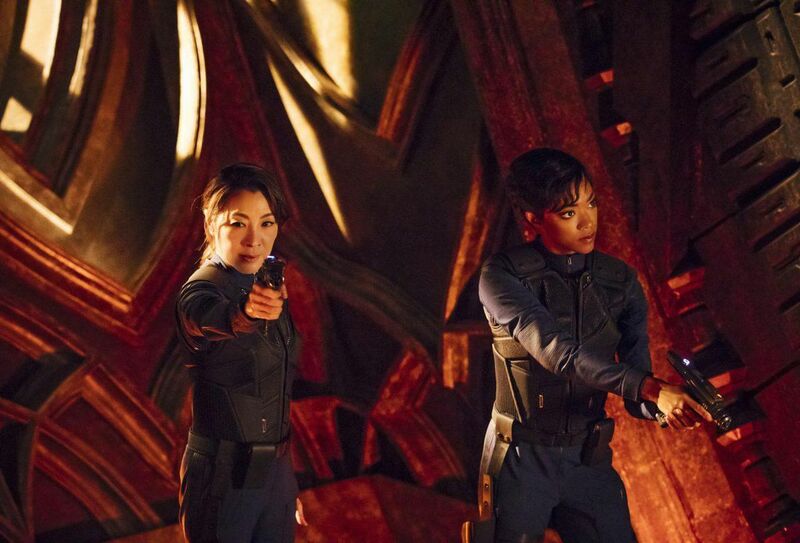 If you want something different with Star Trek, then go with Star Trek: Discovery. Frankly, both shows have their merits and we should be able to enjoy both. A great conclusion to this insightful analysis of the two shows and some good points are made. 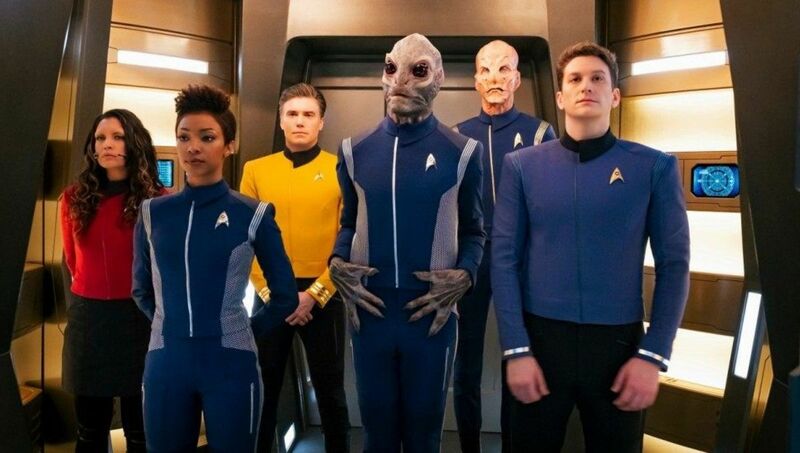 For me, I found Discovery to be a welcome refresh and whilst season 1 was darker I felt it help define the characters, their principles and galvanised the crew in a positive way. There were true Roddenberry Trek moments hidden away in there, but not always apparent unless you’re looking for them. Season 2 definitely seems to be heading in a more hopeful and wonderous direction and I’m certainly glad about that. The tone of season 1 was perhaps necessary but it’s good to see the series get back to the heart of classic Trek. I hope that maybe those unimpressed with the first season might give this season a try…as you rightly point out, look at how TNG was in the beginning (and to a lesser extent, DS9). 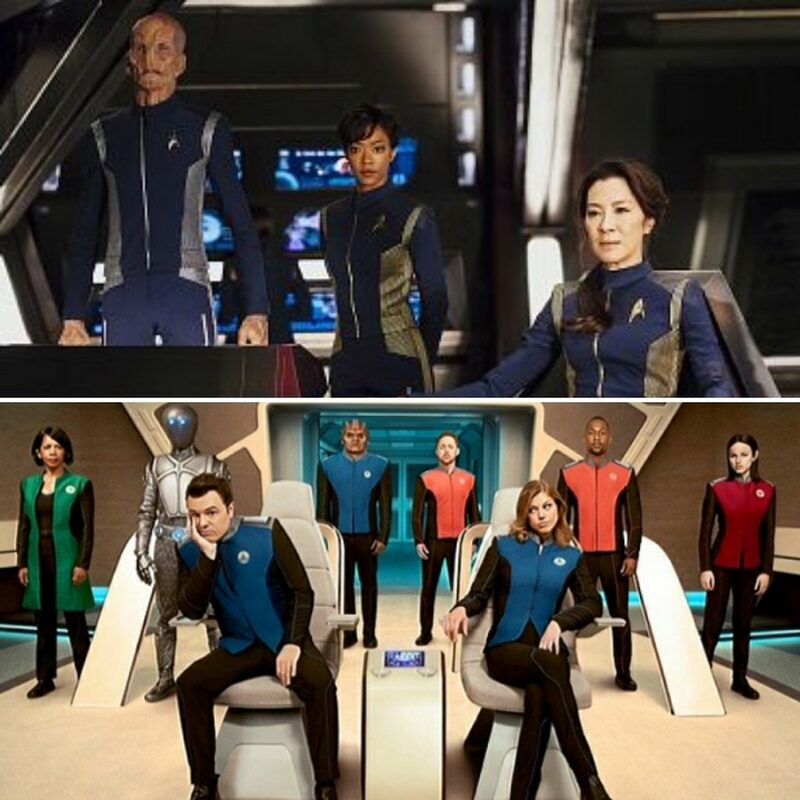 As for the visuals, they’re amazing – true there’s a divergence from what we see in TOS but that was over fifty years ago and I’m accepting of the updated look. There might be the odd fan niggle but to have a Trek series that has a feature film quality to it is astounding and gives it the scale it deserves. It only excites me more for the Picard series as that has potential of epic proportions! Thanks for your comments, they’re pretty much on the mark. 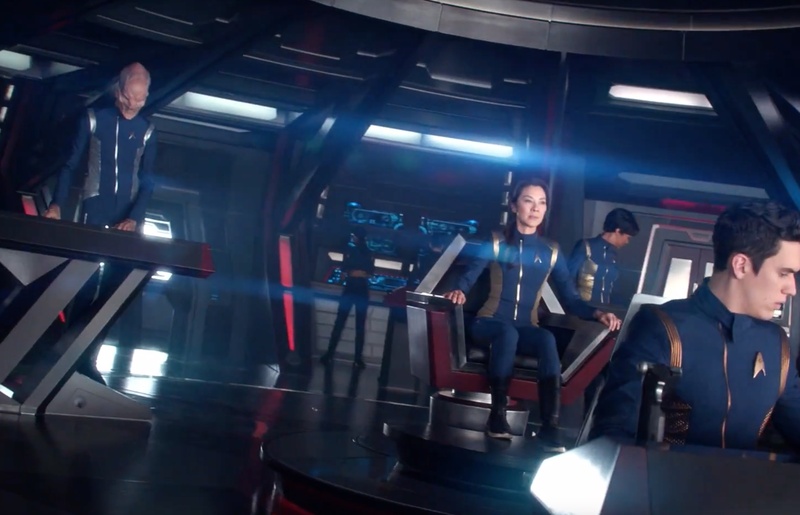 Some cynics may claim that Discovery’s new tone (so far) in Season 2 may be a reaction to the mixed reaction to the first season. But as you said, the show needed that dark contrast of the war to make its new direction feel more natural. Think about it, after a brutal war, creatively you would want to do another approach. 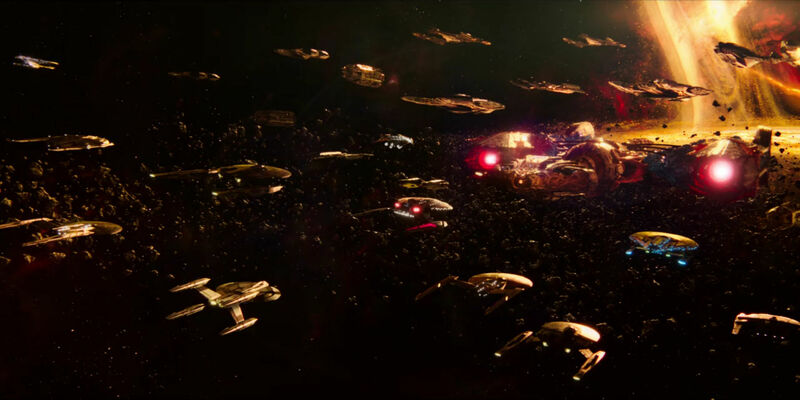 This is Star Trek not Wars after all. Oh yeah, same here, cannot wait for the Picard series. The Prime Universe lives! Haha, yes indeed it does. I’m excited to follow the development of the Picard series and obviously can’t wait until it finally debuts! Great post about Discovery! I had such a hard time getting into Discovery- I was upset about the different “feel”, how as a prequel it wasn’t matching canon well, I was mad that the Klingons were SO very different (they looked nothing life Worf who is the best!) and that Spock had yet another previously unknown sibling. I took a break and then a few months later binge watched the reminder of season one, and it came together for me. 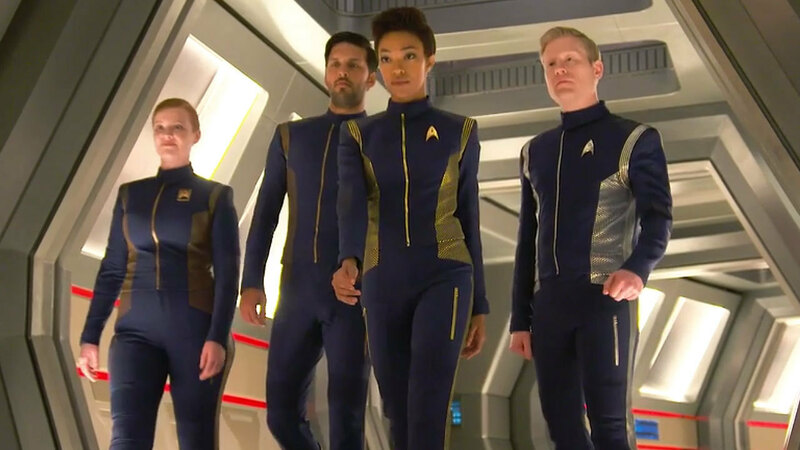 Now I really like it and I hope with the introduction of Captain Pike (♥) that they hew more closely to what Star Trek fans expect. Thank you for your comment. I felt the same way about Discovery at first. 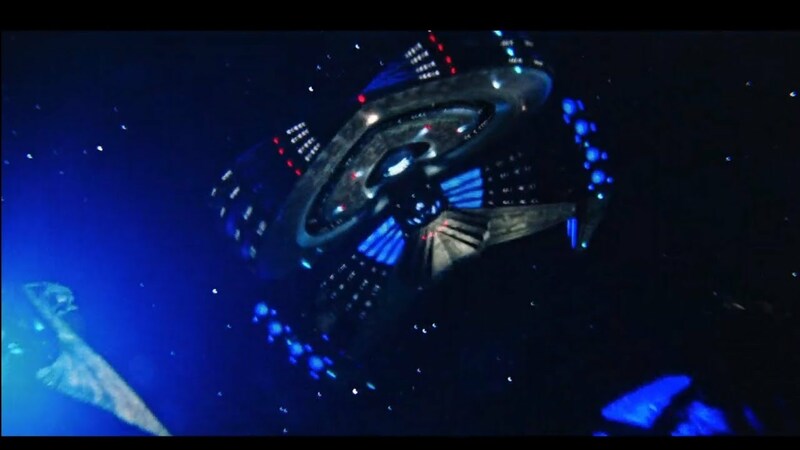 Beautiful to look at but left me cold and truly hated the new Klingons. But after a few episodes I really began to enjoy it and a couple have been great especially the “New Eden” episode. BTW, Pike is a great addition. I just wonder how they will reconcile the canon with the rest of Trek. What’s hard for me with Pike, is knowing the fate that awaits him in just a few years. Keeping to canon is going to become harder and harder, that’s why I like the way the movies adopted the Kelvin timeline which lets them move in another direction. True, there is that foreshadowing with Pike which makes his appearance somewhat tragic. We know his fate and now that he is a bit more fleshed out from his appearance in “The Cage”, this knowledge hits us a bit harder.